Sometimes, having too much of something is not the best situation to be in, and this is especially true if you sell a number of products that are similar, and you are trying to find the right product to put on a sales order. Don’t despair though, with the R3 release a new feature is available that allows you to perform an in-line search as you are creating the sales order over multiple fields at once and then give you a filtered list of matching products that you can add to the order with just a click of the button. Although playing Where’s Waldo is fun, sometimes it’s better to cheat. To start off we need to configure the search parameters. To do this, click on the Search Parameters menu item within the Search folder of the Setup group within the Sales and Marketing area page. When the Search Parameters dialog box is displayed, make sure that you have the Automatically Fill Item Search flag set, and also select the Partial Match option from the Search Type field. After you have done that, click on the Close button. Now we need to configure the fields that we will be searching on. To do this, click on the Define Criteria menu item within the Search folder of the Setup group within the Sales and Marketing area page. When the Define Criteria maintenance form is displayed, change the Type to Item. Then add all of the fields that you want to search on by clicking on the New button in the menu bar, and selecting the Field Name from the dropdown list. After you have configured the search fields, click on the Refresh button in the menu bar to update the search view. 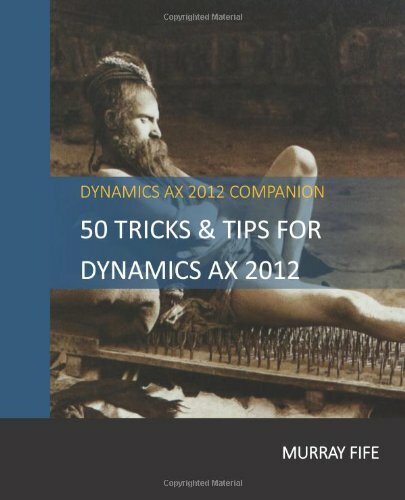 Although Dynamics AX tells you that this may take a while, click on the OK button. Then when the Refresh Full Text Search dialog box is displayed, click on the OK button to complete the update. After it has finished, just close out of the forms. To see this in action, just open up your sales order and type in the phrase that you want to start searching on within the Item Number field. If there is not an exact match on the fields that you are searching on, then the Item Search dialog will be displayed showing you all of the matches. You can further refine the search until you find the product that you want and you can even add the product to the order line just by typing in a Sales Quantity and then click the Create button. Now you have just the right product on your order. how to add search fields for products . In fact I wish I could search by barcode or by reference external supplier (CustVendorExternalItem) ? The search results are just a table where all of the information is summarized. I think that you just need to add any additional fields that you want to search on to that table and then possibly update a little X++ to also populate that data when the batch update is performed… a small coding task, but not impossible to do. thank you , I’ll go deeper my research in this direction. Do you know the name of the batch to review ? Hello, I have a similar requirement to search through CustVendorExternalItem. Have you implemented this change and can you guide what needs to be done? this setup and function is really great. But I miss the function in the service-order. Is there a way to add the functionality there too? Claudia, not out of the box as far as I know. Hi, I have made all set up steps but the search window doesn’t appear on sales order when entering text in item no field. It works fine with the Customer search after I had that one set up. It seems like i don´t have the “Trade” configuration key and “Full text search” configuration key but i have the Trade item search configuration key could that be the issue?